Enjoy comfortable transportation to a long list of Bali’s attractions on a full-day tour. Don’t spend a second worrying about public transit schedules or organizing an itinerary. A detailed schedule and all transportation has been arranged, beginning with convenient hotel pickup. 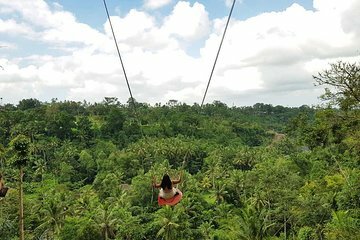 Stop at a myriad of the island’s top attractions, including Monkey Forest, a coffee plantation, and the Bali Swing. Easily purchase your ticket at each location.